Disguised in servant's clothes, an Afghani shah slips out of his palace to learn more about his people. When he encounters a poor Jewish shoemaker full of faith that everything will turn out just as it should, the shah grows curious. Vowing that no harm will befall the poor man, he decides to test that faith, only to find that the shoemaker's cheerful optimism cannot be shaken. But the biggest challenge of the poor man's life is yet to come! Ann Stampler's retelling of this classic Afghani Jewish folktale is enriched by Carol Liddiment's charming and vivid paintings. Though the shah in Afghanistan tries to test his faith, a poor Jewish shoemaker maintains his belief that all happens for the best. 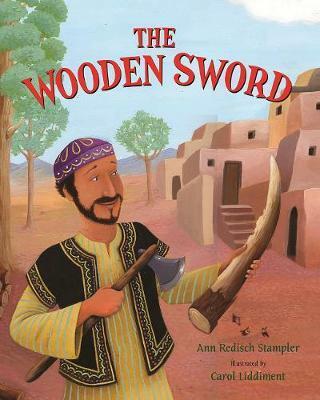 Ann Redisch Stampler has written several picture books based on Jewish folklore. She loves children's literature, particularly folktales and humor. She lives in Los Angeles with her husband and children. http: //www.annredischstampler.com/ Carol Liddiment lives in England, in the Suffolk countryside with her two sons. As a child she spent much of her time riding horses and adopting wild animals! Now she spends her time illustrating books for children.